Kathryn Pole, an assistant professor in the UTA College of Education's Department of Curriculum and Instruction, followed 22 kindergarten students at a public school for one school year. 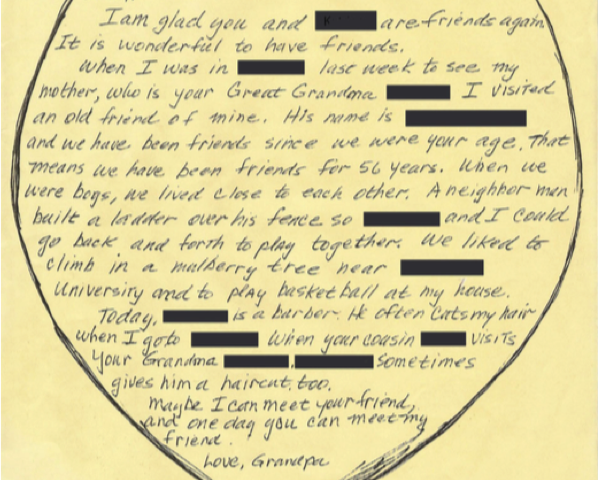 She wanted to track their progress when they wrote and exchanged letters with relatives such as a grandparent, aunt or other extended family member. The study, called "Why Downt You Riyt Back to Me?" appears in The Reading Teacher, a journal of the International Literacy Association. When Pole's group first started the year, the 5- and 6-year-olds rarely moved past predictable statements, such as "I like…" or "I saw…" followed by a word or two. By the third round of letters, the 13 girls and 9 boys were planning what they were going to write in their next letters. The kindergarteners also had plans for other writing, because now, they considered themselves to be writers. By the end of the year, the students' letters were longer, contained more than one idea and provided a context for family history. When new correspondence arrived, and with the adults' permission, the children had the choice of letting Pole read the letter aloud to the class; having it read to the child; or not having it read aloud at all. On every occasion, children chose to have the letters read aloud to the entire class. "Both my students and their family members learned exciting things about one another that are not part of school curriculum, but are worthwhile and supportive of learning," said Pole, who began her research as a teacher and parent because she believed that she could better support emergent writers through a correspondence project. The idea also sprang from Pole's desire to preserve family history that may otherwise be lost. "My mom's lasagna was part of every family gathering, whether to welcome a newborn baby or returning soldier," Pole said. "I noticed its absence during my mom's funeral. No one knew how to make it and I never asked her to write it down. I began to think of how such practices might be used to teach better writing, reading and communication skills and to maintain family history." State Rep. Helen Giddings, D-DeSoto, a UTA alumna, has called education her highest priority in the Legislature. She said Pole's study is important because of its emphasis on early childhood education. "Research like this is invaluable as it takes into consideration the very people who help to shape a 5 or 6-year-old child's early academic and life lessons – school educators and family members," said Rep. Giddings. "Learning to read and write at such a young level is vital to the long-term education outcomes for our state and nation. These lessons also provide unique experiences for the teachers themselves." Jeanne Gerlach, dean of the UTA College of Education, called Pole's work a tremendous resource aligned with the University's Strategic Plan 2020: Bold Solutions | Global Impact. The plan sets a path to unprecedented University excellence in research, teaching and community engagement. Dr. 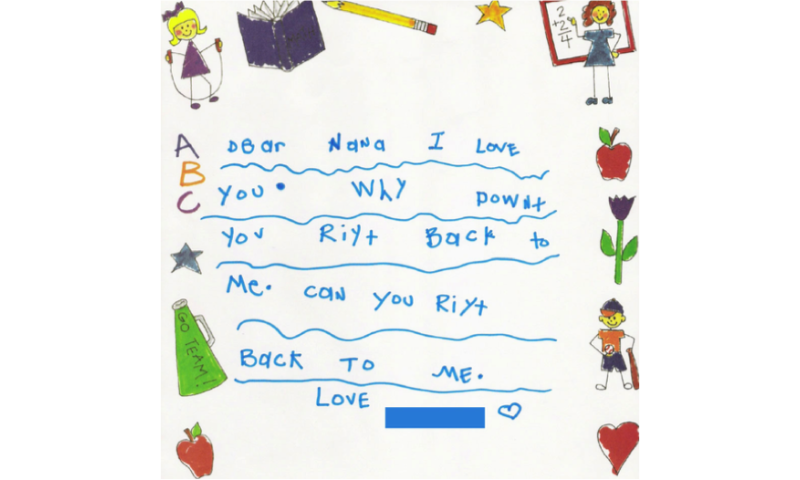 Pole has examined the ways in which family letter writing can be used to support early literacy, and demonstrates the impact of teacher action research," Gerlach said. "This type of advocacy is inspiring students to become better readers, writers and communicators. It's also motivating current and future teachers to connect with students utilizing meaningful and creative pedagogies." The unidentified school in Pole's study is located in a small, southwestern U.S. city. The school served about 600 students from pre-K through fifth grade and received Title 1 funding. About 45 percent of the students are classified as economically disadvantaged and the school was recognized by the state as having exemplary student achievement ratings. For the study, the kindergarten students and their extended family members lived far enough away that they didn't visit often and were able to correspond for a school year. "I chose to use a paper-based form of writing rather than e-mail because at the start, some of the children were still drawing images as placeholders for words, and because their pictures sometimes carried more meaning than the words they could write," Pole said. "We looked for opportunities to write. On a day when the cafeteria served especially delicious cookies, we wrote a class letter thanking the cooks. We were always writing." Is your toddler ready for reading lessons?